With Beewake, you can focus and work without distractions in a coworking space in Manhattan in New York City. Explore Our Listing of Offices workspaces Available to rent, Book and work Today. Beewake is for you, her, him for everyone whether you work for a corporation or you’re a freelance, work from home, a nomad or a remote employee. In top of beautiful and trendy NYC coworking, Beewake, it’s also CoWorking Space, Hot Desk, Dedicated Desk, Private Office, and Meeting Rooms. You can book Instantly, Easily a space and Conference Locations in Midtown & Downtown NYC for an hour, a day or more. No commitment, ever. 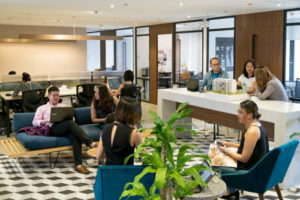 Home to first homes of many startups, the coworking spaces that can be found on Beewake are affordable coworking space nyc and also coworking space nyc day pass. 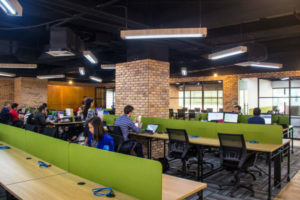 All of workspaces offered super fast wifi, hot beverages and many other perks in Coworking spaces so welcome to productivity and goodbye to crowded coffee shops in NYC. Check now the hundreds of options that we have in Manhattan, Queens, and Brooklyn, we have the Best co-working spaces in NYC for independent employees. Our workspaces are designed for meetings, offsites, workshops and anytime you need to focus. Recently, we were reviewed as one of the best coworking option in New York here. The Beewake community loves us because they find Beewake offers a flexible and affordable solution for individuals and teams when they need to work, meet and focus in NYC in collaborative workspaces that increase productivity, innovation, and collaboration. With Beewake, welcome to a new world where you have the ability to work with flexibility : wherever, whenever ! Beewake is a global network of workspaces where companies and people grow together. When you’re looking for modern spaces with daylight, conference rooms, unlimited coffee and insanely fast internet and creative common areas, you’re welcome to Beewake, we have what you need.